“Best anti-ageing serum” Award, “Bazaar Beauty Awards 2017: Super Serums” by Harper’s Bazaar Malaysia. Water/Eau, Pentylene Glycol, Glycerin, Propylene Glycol, PEG-12 Dimethicone, Hydrolyzed Soy Protein, Hydrolyzed Wheat Gluten, Hydrolyzed Wheat Protein, Hydrolyzed Lupine Protein, Hydrolyzed Algin, Moringa Pterygosperma Seed Extract, Ceratonia Siliqua Gum, Prunus Amygdalus Dulcis (Sweet Almond) Seed Extract, Macrocystis Pyrifera (Kelp) Extract, Sodium Hyaluronate, Mannitol, PEG-60 Hydrogenated Castor Oil, Carbomer, Sodium Hydroxide, Tropaeolum Majus Flower/Leaf/Stem Extract, Tocopheryl Acetate, Tocopherol, Hydrolyzed Soy Flour, Zea Mays Starch, PVP, Disodium EDTA, Ethylhexylglycerin, Phenoxyethanol, Microcrystalline Cellulose, Benzyl Alcohol, Sodium Dextran Sulfate, Citric Acid, Parfum (Fragrance), Hydrolyzed Corallina Officinalis, Hydrogenated Lecithin, Sodium Benzoate, Caprylyl Glycol, 1.2 Hexandiol, Maltodextrin, Sorbic Acid. HYALURONIC ACID: This naturally occurring polysaccharide (complex sugar), acts as a “molecular sponge” trapping and holding water up to a thousand times its own weight. Enhances make-up and reduces signs of fatigue. CELLACTEL 2 COMPLEX: CELL SHOCK's signature skin-revitalizing ingredient helps repair essential skin functions, lifts and regenerates the skin. POLYLIFT® and RAFFERMINE®: The two original Face Lifting Complex ingredients – both botanical tensors (polymerized sweet almond oil and proteins) – form an elastic film on the surface of the skin to improve micro-relief and reduce fine lines and wrinkles. Blended together with soybean membranes and hyaluronic acid, they impact in a very noticeable lifting effect. I’ve used this product for two weeks now and can say that the lines are visibly reduced. The skin around the eyes is brighter so I can go out without concealer, just a touch of powder. Swiss line skincare is the best skincare I have ever tried. I am amazed how good my skin looks. This product is a life saver for busy ladies who spend their days working with a computer! I travel extensively, this means airplanes, hotels, weather, long days, air conditioning. 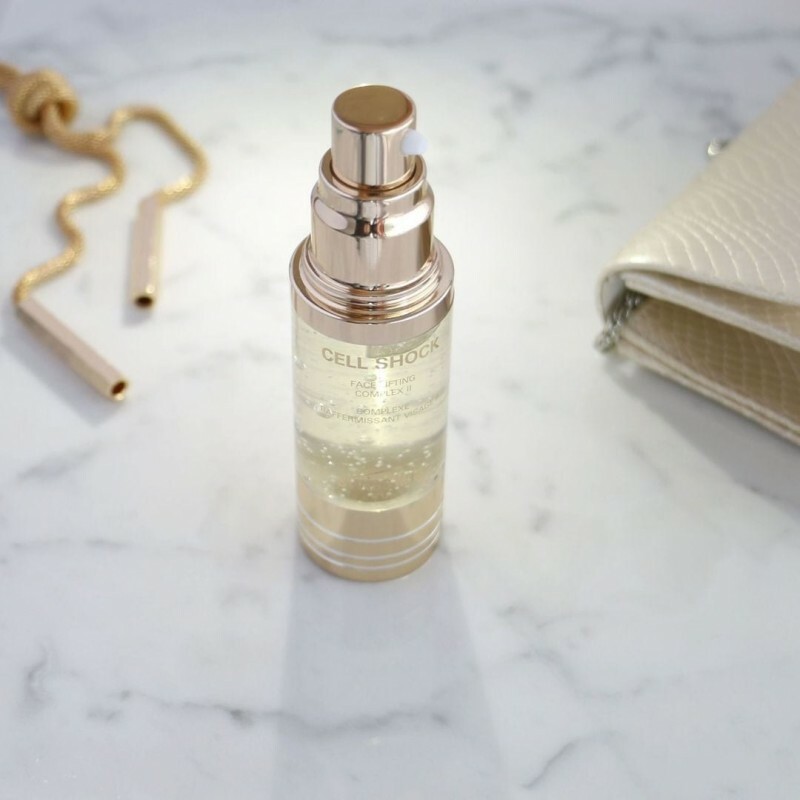 The skin does reflect that… Wow these products are like a mini lift in the bottle and you should believe me, I have never taken them out of my travel kit. Gold in a bottle. My on set essentials. Do I need to combine the Face Lifting Complex II with the moisturizer? Our Face Lifting Complex II can be used alone for an intensive lifting effect, or followed by one of our Luxe-Lift creams for additional hydration and stronger anti-aging action.